The UK plans to open up its second Mideast base in Oman. The British Defense Secretary announced these plans earlier this week during a visit to the Arab monarchy to observe the ongoing war games that his military was participating in with their hosts. 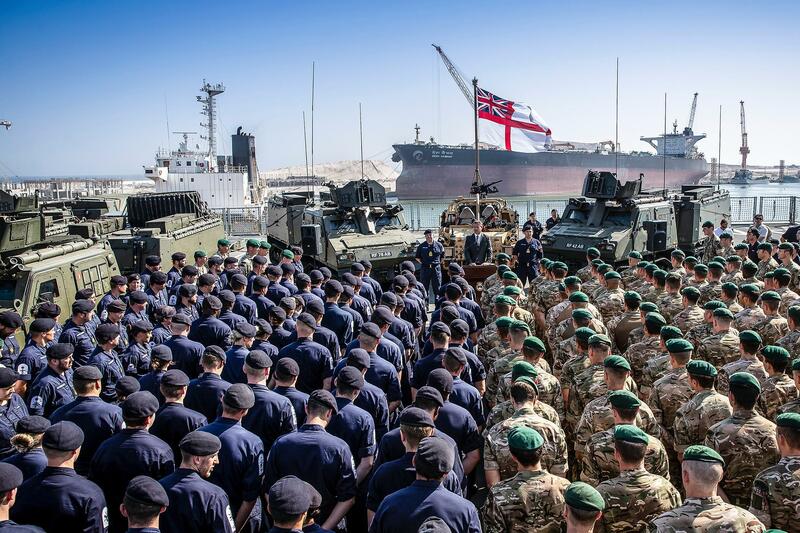 Upon its completion next year, this will be the UK’s second base in the region after the naval one that they established earlier this year in Bahrain, both of which symbolically mark the return of the country to the “East of Suez”. The British used to be the undisputed hegemon in this part of the world during the heyday of their empire, and their large-scale military withdrawal from most of this region during the middle of the Old Cold War was a psychological shock for many of its citizens who appreciated the prestige that they believed the imperial period bestowed upon them. The UK’s return to the East is due to several interconnected factors, the first of which is obviously the US’ gradual military drawdown in this region and the need for its allies to replace it through the so-called “Lead From Behind” stratagem first unveiled under Obama. Secondly, the economic and strategic consequences of Brexit compel the country to strengthen its extra-regional trading partnerships, which it believes can best be accomplished through so-called “military diplomacy” with wealthy Mideast countries. Building off of that, Britain’s return to the region might facilitate the clinching of other trade agreements such as the one that it reached earlier this year with the Southern African Customs Union (SACU) and Mozambique and the deal that it would like to also one day have with India. The larger pattern that’s becoming apparent is that the UK is seeking to reestablish itself as an important economic and military power in the Indian Ocean Region, albeit on a much lesser scale than what it used to be but nevertheless still playing a part in this increasingly competitive area through which most of the world’s trade traverses. It can therefore be expected that other smaller bases might eventually be established in this broader space, with London linking them and their host countries together through regular military exercises and potential trade deals in serving as one of the connective powers in this region. It remains to be seen whether this strategy will reap any tangible dividends, but as of now, it’s the best indicator yet of the UK’s foreign policy priorities after Brexit.